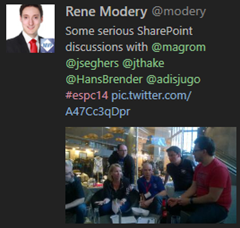 Last week European SharePoint Conference 2014 took place in Barcelona. Time to recap mentions of the SharePoint event on Twitter (hashtag #ESPC14). 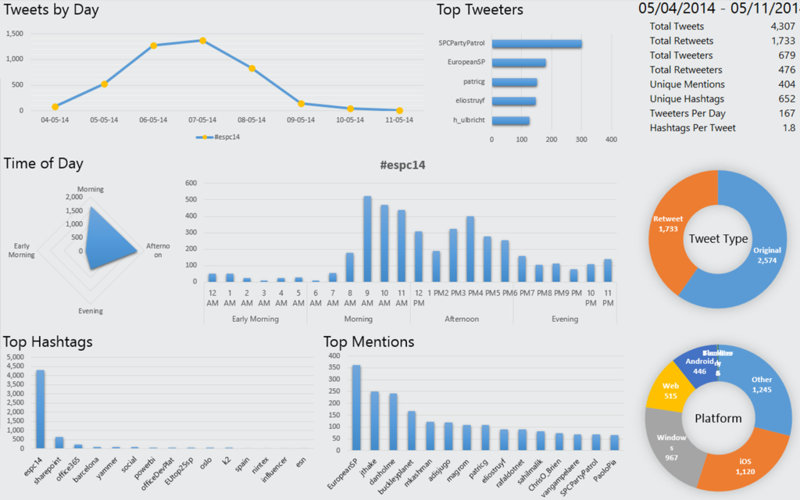 Here are the results by 11th May, 21:30 made with Twitter Analytics for Excel (which @magrom also showed in her session PowerBI and SharePoint Online). Top hashtags were #sharepoint, #office365, #barcelona, #yammer, #socialand and #powerbi. 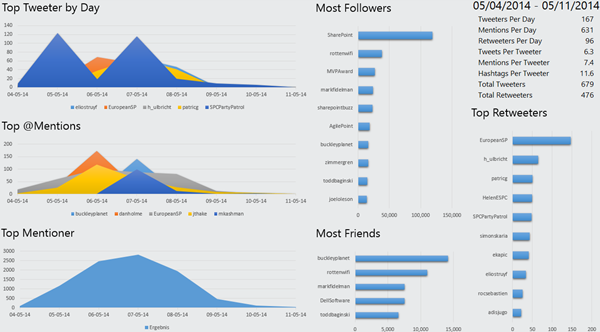 #espc14 was used by 679 Twitter users, see the top mentions and the users with the most followers in this graphics. 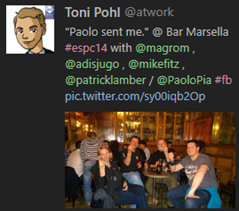 See more tweets directly in Twitter #ESPC14. 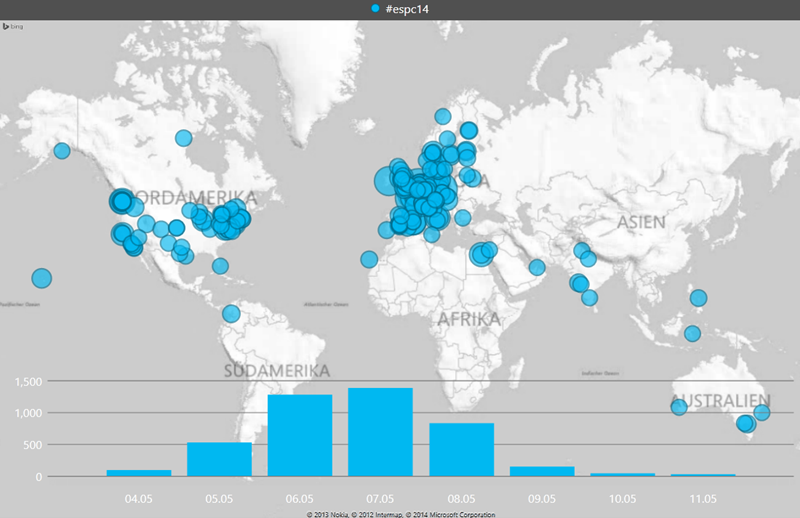 Find Martina´s session slides here. We had a great time there meeting all you guys of the SharePoint community! 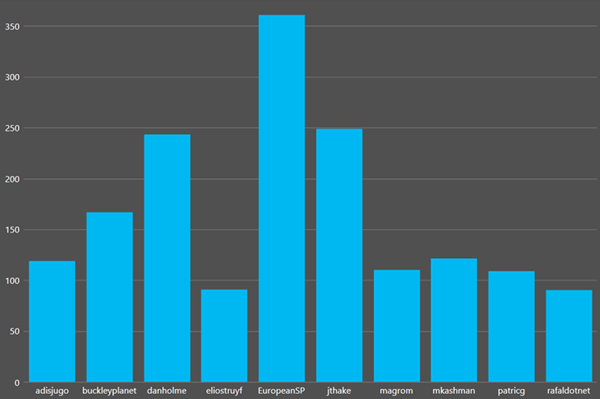 Looking forward to the next events!